Of course, there will be people that don’t like the design, but trust me, it’s looking even cooler in person. Now that the company officially owns Motorola, it is competing outside China as well and has the ambitions to conquer the likes of Apple, Samsung and LG. And what better way to grab consumer’s attention than a flashy look? 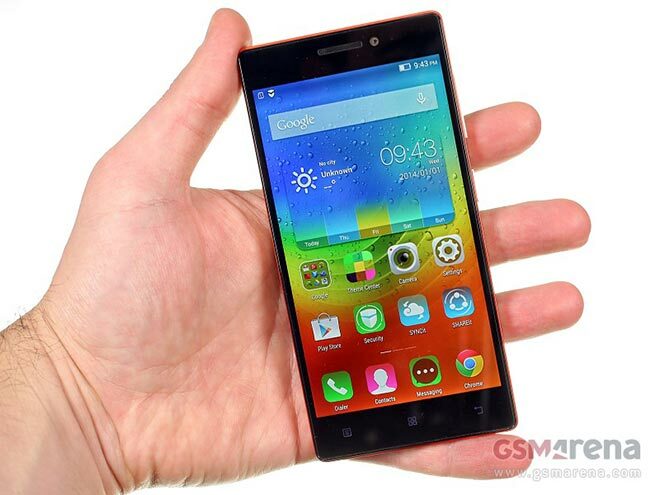 The Lenovo Vibe X2 employs a multi-layered design, similar to a cake. While not as delicious, since we are talking plastic here, it’s equally colorful. The phone is offered in a bunch of color schemes and we have at hand the gold one. It sports a black layer, followed by a champagne colored layer, then a a golden one and finally, an orange one. Because of its design, the back cover doesn’t pop open, but below ithides a 2,300mAh battery. The phone whole weighs 120 grams and measures 140.2 x 68.6 x 7.3 mm. Underneath all those layers resides a MediaTek octa-core chipset, which boasts a 2.0GHz quad-core Cortex-A17 and a 1.7GHz quad-core Cortex-A7 CPU and 2GB of RAM. It’s a powerful piece of silicon and powers up Android 4.4 KitKat garnished with Vibe UI 2.0 quite nicely. We didn’t see the phone stutter or lag once. The front of the Vibe X2 is also nice to look at, as it features a 5″ IPS LCD display of 1080p resolution. It’s a sharp panel with great colors and good viewing angles. At the back, a 13MP snapper with LED flash takes care of snapping photos and so far we’re quite pleased with it. You can expect a more in-depth analysis of its performance in our upcoming review. But the phone isn’t without its faults. The only internal storage option is 32GB and there’s no option to expand it. Thankfully, Lenovo has been thoughtful to pack the Vibe X2 with an FM radio functionality. Here’s our hands-on video of the Vibe X2 for you to check out. Our team of highly trained monkeys is working hard to bring you the review of the Vibe X2 as soon as possible. In the meantime shout out your opinion of the phone in the comments.